The larger catalog, the one with the balloons on the cover is the Occasions Catalog, you can order from this catalog Jan 5 through May 31st. 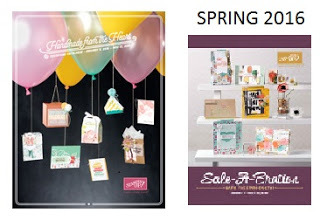 The Spring catalog features birthday sets as well as Valentine’s Day and Easter and Mother’s Day products. The smaller brochure is the Sale-a-bration Brochure. You’ll often see references to Sale-a-bration abbreviated as SAB. 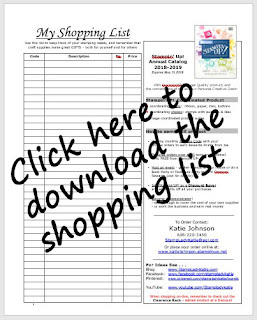 This is Stampin’UP!’s big sale of the year. The special items in this catalog are not available for purchase. But you can get them for free with each $50 purchase. Sale-a-bration runs from Jan 5 through March 31st. But pay attention to the brochure because a few items are available only during the first 6 weeks. Each $50 purchase earns a FREE item. If you order $150 not only will you get 3 FREE items, but since $150 is the threshold amount to qualify for Hostess Rewards you'll get to choose an additional $15 of free product. Sweet! BTW: Sale-a-bration is a great time to host a party.
. . . or fill your whole Wish List. Order $250 product, get a total of $50 free in Hostess Benefits and 5 free SAB items! An amazing deal if you're in a position to take advantage of it. 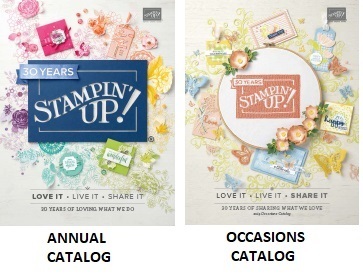 Stampin'Up LOVES DISCOUNT BUYERS. 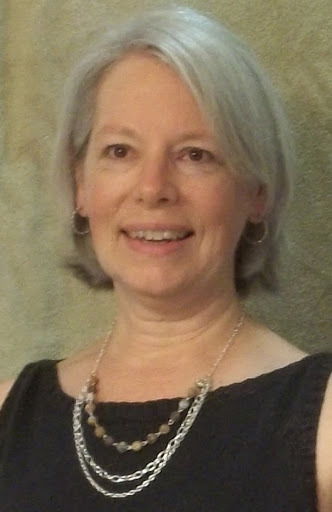 If you've been thinking about joining Stampin'Up now is a good time to join. During Sale-a-bration you'll get to choose an additional $30 of free product. Actually there's no obligation for ANYTHING - you can quit any time! You'll get invitations to local demo meetings where you'll get to stamp with some really awesome talented people. Sale-a-bration is a great time to give the craft kits a try. Its normally a subscription service, but you can also pre-pay a few months as a trial or as a gift. Who do you know who might like to try a few months with an easy, fun craft kit? Give a gift of 3 months and choose a free SAB item for yourself! During Sale-a-bration the 3-month subscription is on sale for only $55 and you'd qualify for a FREE SAB item. The 6 month subscription is $113.70 and would get you 2 free items. The 12-month subscription is $215.40 which not only qualifies you for 4 free items, but you also earn $21 in Hostess Benefits. And finally, if you order the 12 month pre-paid subscription plus another $34.60 the order tops $250. Which means 5 FREE items and a total of $50 in additional Hostess Benefits. Wow! Or contact me and I'd be happy to help you get that free item. Order the pre-paid subscription and get a Free SAB item . 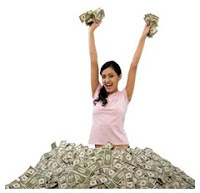 . . your regular subscription will simply go on hold until the pre-paid is used up. Whoohoo! Whether you order anything or not, enjoy the catalogs. There's some really gorgeous projects in them. Its my job to make sure you love our product and know how to use it so please contact me with any questions regarding any of the projects. Or with any questions about SAB.